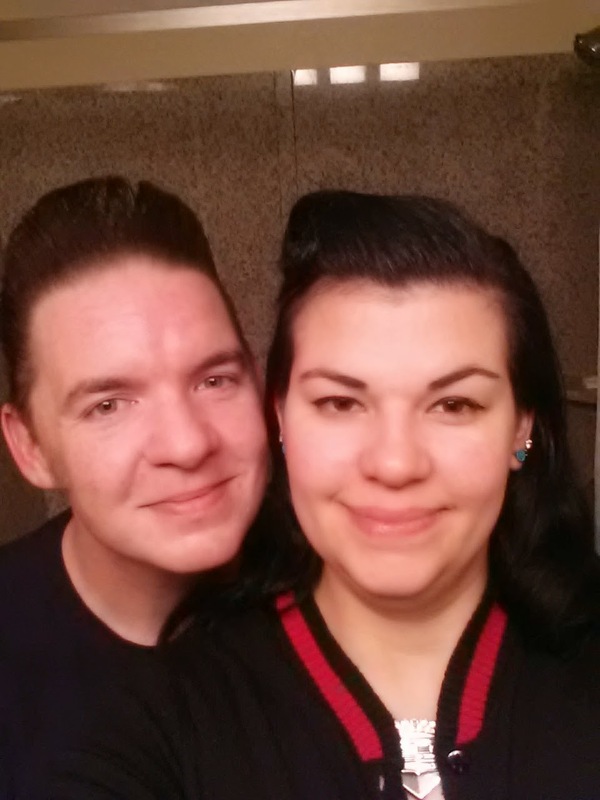 An "ussie" prior to the show! 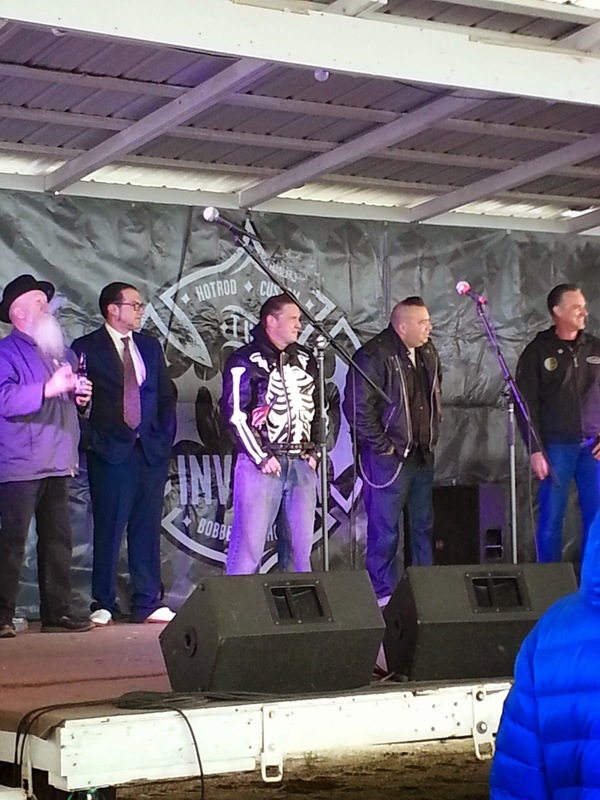 Iron Invasion, held at McHenry County fair grounds in Woodstock, Il was a bit colder than anticipated. During the event I checked my phone which stated it was 45 degrees but it certainly felt much colder - I had seen snow flurries in the early morning. Despite wearing a shirt, sweater, hoodie, and mechanic's jacket, as well as a pair of mittens, and only one pair of pants - I was quite chilled. However, the show had been moved up a week, to prevent anticipated cold weather - which happened anyways. Oh well. The pinup contest was quite extraordinary. I had decided prior to the show to skip participation in the contest - not enough time prior to hone a talent and didn't want to take my violin on a bus. Despite not participating I did watch and it was worth it. Each gal came on stage, did three poses, and went directly into a talent. The winner had the most beautiful voice as she sang "The Trolley Song" from "Meet Me in St. Louis". Her voice captivated the whole audience. It was spectacular. I wish I had taken a video of the contest but I was in too much awe of that voice! As the judges deliberated on which contestant would be the winner, the men took stage for the Mr. Iron Invasion contest. A much less formal contest - men were chosen based on audience participation. The winner (Whiskers!) received a tee shirt and a tool box - pinstriped by Allen! 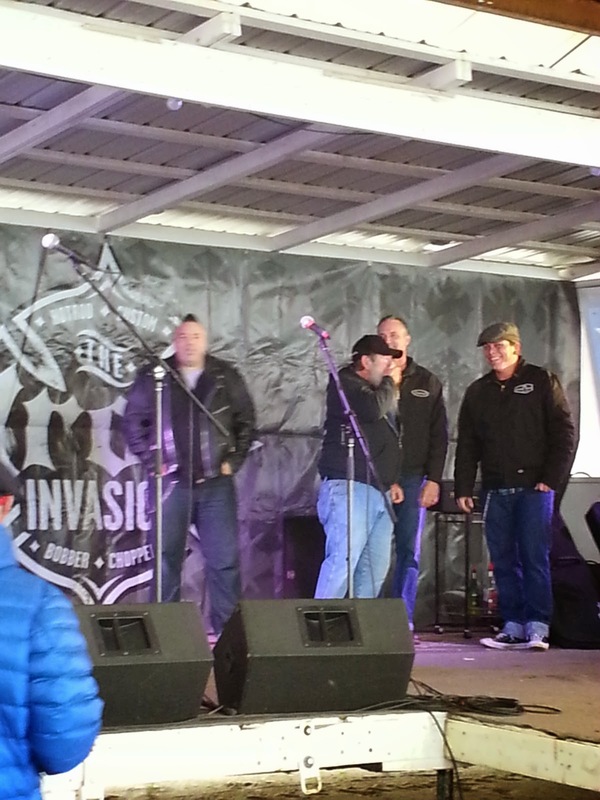 Mr. Iron Invasion contestants taking the stage. Yes, James is up there! The rest of the contestants including Whiskers. 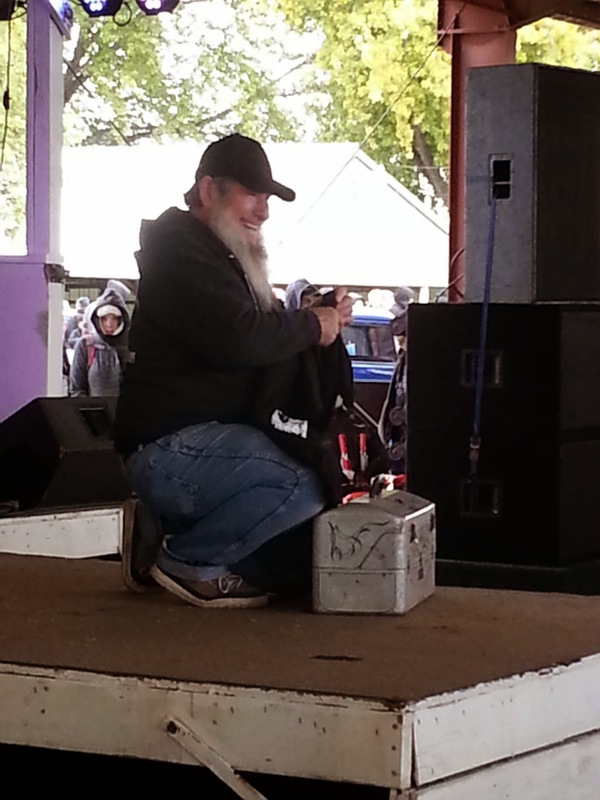 Winner Whiskers with his toolbox and shirt. It was a great end to a wonderful car show season. I hope next year's Iron Invasion to be warmer. I can't wait for next season but I'm glad to have a break from car shows to attend more photo shoots and time to plan and save for the wedding/honeymoon.